Sometimes fun is the only priority. 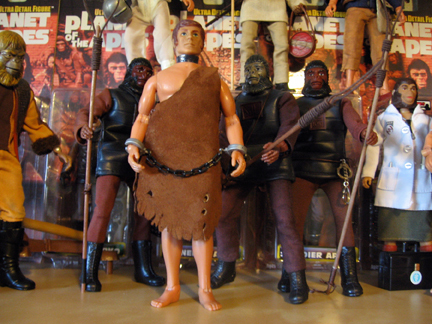 Across the summer I’ve been reviving my beloved childhood Planet of the Apes collection. 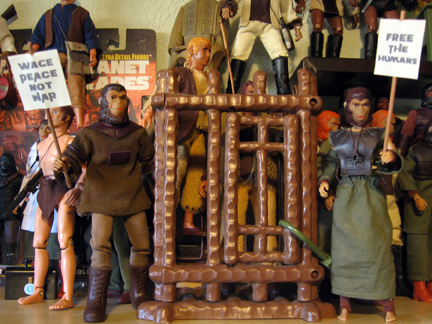 Without the careful attention of my mother, who not only re-strung my Mego action figures when broken but also saved a good chunk of the great toys from my youth, these awesome apes and filthy humans would have met their fate decades ago. In addition to fixing up some of these old friends and filling in gaps with variants I never had, I’ve been building some mash-ups and custom figures. 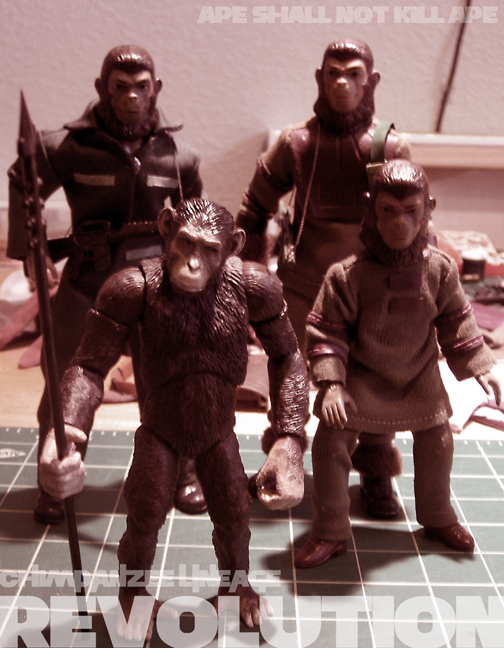 Below are a few of those incarnations… I’ll periodically update this post with additional pics from Ape City. 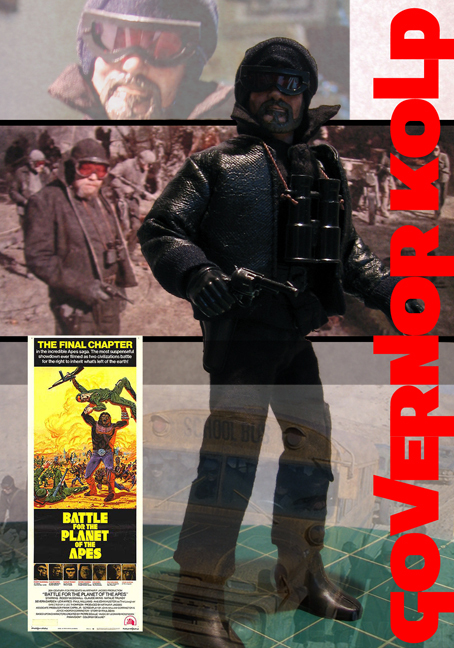 If you too have an affinity for the Superhero, Celebrity, TV & Movie toys that Mego created in the 1970’s & 80’s, be sure to visit the Mego Museum for the coolest archive and toy community around. 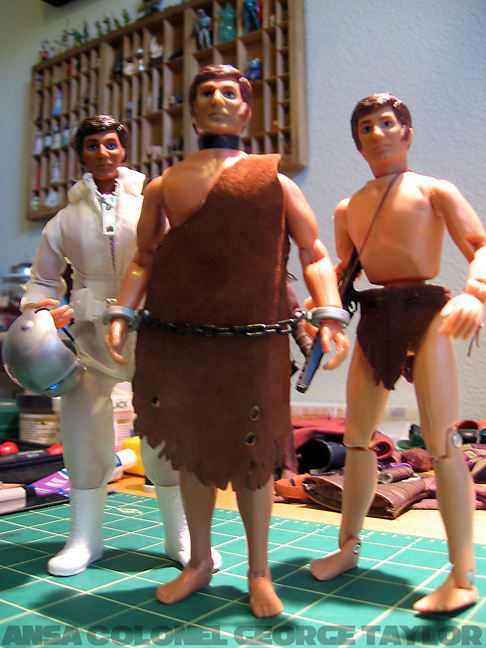 This entry was posted in Art Toys, Mego and tagged Art Toys, Mego. Bookmark the permalink.